The plant in question must be foreign ("exotic," "introduced," and "alien" are other names used to tell you that a plant is of foreign origin). It must be able to grow on its own and produce a new generation without human aid (for example, without watering, fertilizing, dividing, pest control, or weed control done by human beings). That is, it becomes a wild plant in its adopted homeland. Not all plants introduced from foreign lands are tough enough to naturalize. When a plant naturalizes in an area, this can be either a "good" thing or a "bad" thing, depending on your opinion of the particular plant. 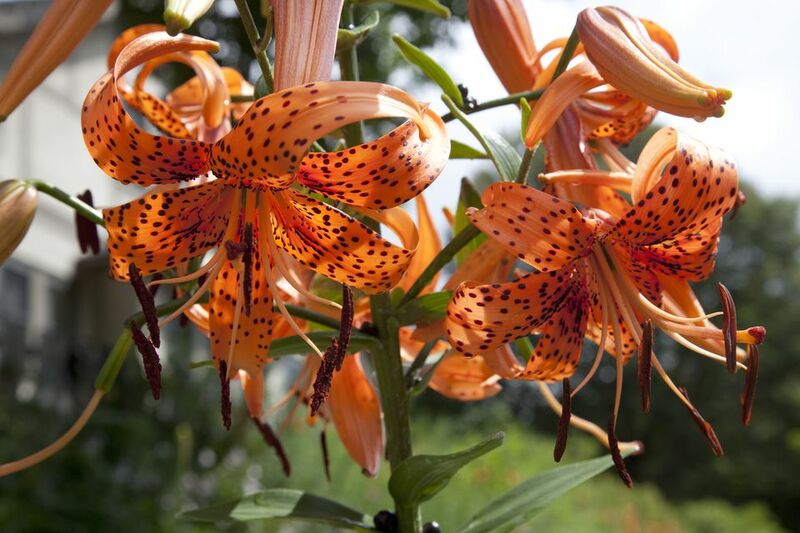 For instance, when we buy exotic bulb plants (such as the tiger lily) that have pretty flowers and plant them in our gardens, we, personally, may be delighted if these beauties become naturalized plants and spread because that means more flowers to admire (and they're free). Likewise, gardeners have been impressed for decades by the fall foliage of burning bush (Euonymus alata), turning a blind eye when the plant starts spreading into the forest and getting along just fine without human aid. But other people may come to a very different conclusion about such plants, seeing them as nuisances (or worse). That is because, sometimes, alien plants that become naturalized plants are such strong growers that they spread out of control, in spite of our attempts to control them. Such naturalized plants get a bad name attached to them: namely, "invasive." The naturalized plants in these cases can end up crowding out native, or "indigenous" plants. Organizations exist whose sole purpose is to lobby for action against invasive plants. But not all naturalized plants become invasive plants. Naturalized plants can be grouped in a number of different categories. Examples pertaining to the North American continent are given in the lists below (in addition to the tiger lilies and burning bushes already mentioned). Note that, to make such a list, it is enough that the plant has naturalized in just certain parts of North America. That is, not all of these examples have naturalized in all regions of the continent. To conclude and sum up, remember that, while all invasive plants are, by definition, also naturalized plants, not all naturalized plants are invasive plants. A related distinction to keep in mind is that between "native plants" and "wildflowers." The latter is often used to speak of any plant growing wild that has pretty flowers. But not all wildflowers are native plants; some are naturalized (or even invasive).